Operating with love in the heart of South Philly. We strive to create a high-quality theatre experience that goes beyond the performance. Have a drink, and enjoy the show! Here at Raw Street Productions, we pride ourselves on creating with love. No matter the message, we operate from a place of friendship, laughter, and openness. We jumped into this game brand new – RAW, if you will – with one universal idea that resonated within everyone at our company: Why can’t we? Why not us? 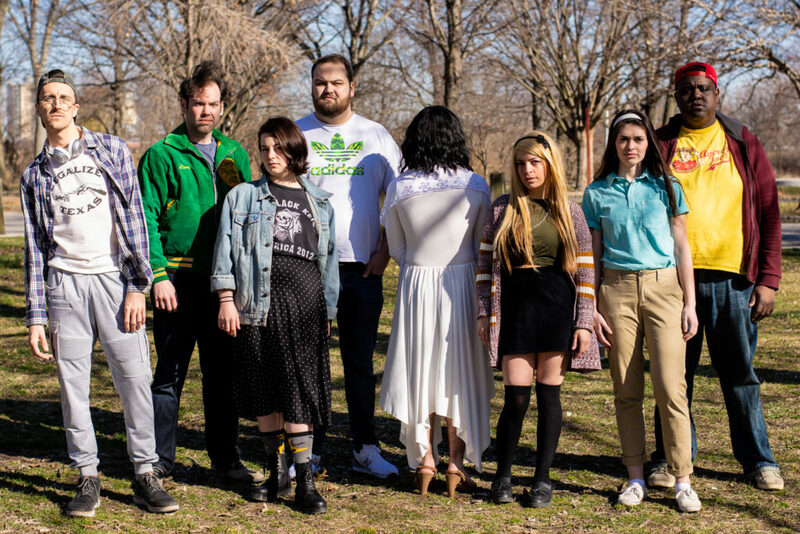 Why can’t this group of young, passionate artists just decide that they can do this? So we’re here, in your face, to break rules, to say things, to be a part of the evolution of theatre. To be raw, real, and beautiful. We’re indie. We built this from the ground up with our bare hands. We have have had too many sleepless nights to not show you our art. Please support local theatre and come see what we got! 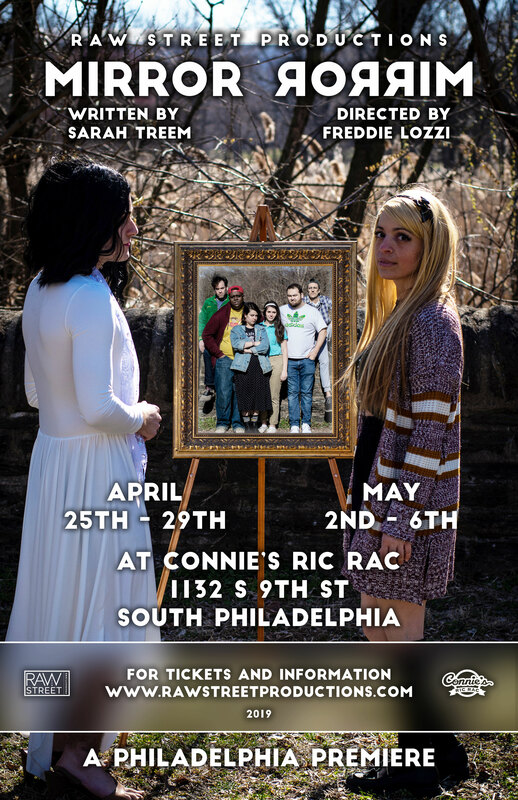 Lately, though, the string of twinkling lights fringing the makeshift performance space is illuminating another form of flourishing artistry, as Raw Street Productions, a South Philly-based theater company, has fittingly made [Connie’s Ric Rac] its own, extracting theatrics from traditional places and plopping them amid bar stools. This is a wonderful piece that far exceeded my expectations, especially from a fledgling playwright who has a beautiful ear for dialogue. It has the potential to be an annual treat during the holiday season. The sold-out run shows the burgeoning success of this small powerhouse of a theater company. I anticipate that they will do great things. There’s something universal about Eighth Fish. Everyone in the audience can identify with having a family that’s awkward in its own way, especially with a new person joining the fold. Want to stay up to date with Raw Street stuff? Avoid FOMO today!